Rolf Suey - Better Late Than Never: Happy National Day - My 5 wishes for Singapore! No natural disasters. No pollution. No external and internal conflicts. No terrorism and low crimes. Everyone can walk alone on the streets safe and sound even at the wee hours of the day. Singaporeans stay united and live in harmony forever, regardless of race, religion, language and countries of birth. Singaporeans, PR and all people working in this country respect each other and be proud, loyal and grateful for what this beautiful country has provided for us. 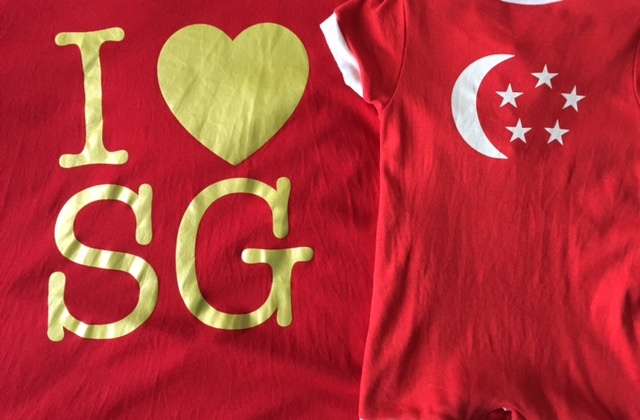 Appreciate and do not take Singapore for granted as just a "money-shaking tree!" Show more compassion and righteousness for the society, community and people around us. It's not always for money, me, my family only. In other words more love, and less selfishness even in the pursuit of growth and money. No one should be left behind. The rich helping the poor, the strong helping the weak, the haves helping the haves-not. In return of the kindness received, more expressions of gratitudes and to further help those in need. Never stop improving as a nation. Let it be our economy, environment, art, sports, innovation and creativity. Never be afraid of challenges and failures. When we fall, we pick ourselves up, learn and become a nation stronger and freer the next time. The vision for the country must be set further ahead in sight. Aside from our over reliance on government's blueprint, each and every citizen in this country should also have a longer horizon and do their part for the sake of our next generation. Everyone shall have a good education and a decent job to support themselves and their family. I hope our next generation leaders and people will perform better than this generation and we will forever have a beautiful Singapore! Singapore, my home… Rolf and family love you! Indeed, Jared. Just to add to my wishes is 世界平安！World must have peace first, before Singapore can enjoy our peace! Thanks. Knowing u, I am sure your wishes are heartwarming n great ones too. Thanks Cory for leading me to check the meaning once again for our national anthem.